What could be better than listening to music and eating delicious food on the beach watching the sunset? Not much! This summer marks the 17th annual Music by the Sea series where you and your family can enjoy the music, food, and fun by the ocean. The festival is presented by the St. Augustine Beach Civics Association. This free, family-friendly concert and food series occurs every Wednesday evening for 19 weeks – rain or shine! The series was started to promote St. Augustine’s local cuisine and musicians. Each week, a different local restuarant and band team together to create a fun evening for you and the whole family to unwind. This event provides relaxing vibes for both vacationers and locals. Between May 8 and September 11, you will find a different local band playing at the Pavillion at St. John’s County Pier on St. Augustine beach. There’s quite a lineup this year, featuring bands that span a variety of genres, including Jazz, Country, Rock, 80s cover bands, Pop, Latin, and more! There’s something for everyone and you can find this summer’s entire lineup below or here. The food lineup has yet to be determined. In addition to jamming out to some great music, you’ll also have the opportunity to try a variety of local resturaunts. Just as a different band is represented each week, a different local restuarant provides food . The concert itself is free of charge, and meals cost $10 or less per person. Music by the Sea will be held rain or shine. The concert and food are a great way to etiher enjoy the beautiful sunet or brighten up a rainy day. Should the weather prove more hazardous, any updates or cancellations (which are very rare) can be found at the event’s Facebook page. There are plenty of things to do while you’re staying at Beacher’s Lodge in St. Augustine, and the Music by the Sea series is one of the best activities to help you relax and unwind. So kick off your shoes, grab a bite to eat, and ride the vibes on beautiful St. Augustine beach! There are free shuttles from satellite parking lots that run between 5:45 – 9:30 p.m. Additional parking information can be found here or by calling the number above. Rock Out to Our Community Vibe at St. Augustine’s Amphitheatre! The St. Augustine amphitheatre is an integral part of the town’s community. It’s a place where people can gather to experience music, movies, and magic. The venue is the perfect blend of rich history and vibrant community. The amphitheatre was built in 1965 to celebrate the 400th anniversary of the town. Florida’s official state play – The Cross and the Sword – debuted on the amphiteatre stage when the amphiteatre opened. Written by Dr. Paul Green, the symphonic drama depicts life in St. Augustine during its founding and earliest years. The play’s final performance was in 1996. The amphitheatre found new life in 2002 when St. John’s County decided to renovate the venue. This rennovation took 5 years. Located in Anastasia State Park, the current amphitheatre grounds cover 16 acres – including the historic rock quarry. The coquina rock quarry was used to build Castillo de San Marcos and other early homes and businesses in St. Augustine. Today, the amphitheatre can host up to 4100 guests and features tours from local and national talent on its stage. There’s truly something for everyone at the Amphitheatre. While you’re visiting St. Augustine, take a look at some of the events happening every week. Stop by the Farmer’s Market and taste some fresh Florida produce and baked goods. Or stop by the Art at Night to find one-of-a-kind gifts made from local artists. Stroll the gorgeous grounds and experience the history and sense of community that’s embodied in the St. Augustine Amphitheatre. Hours: Every Saturday from 8:30 a.m. to 12:30 p.m. The famer’s market is free and open to the public. Experience some of the finest food that Florida has to offer! The Farmer’s Market doesn’t just have produce – there are also plenty of vendors selling prepared food and drink, unique art and gifts, and local musical artists. The market has been a vital part of the community for 20 years. Hours: Every 2nd and 4th Tuesday night from 6 p.m. to 9 p.m. 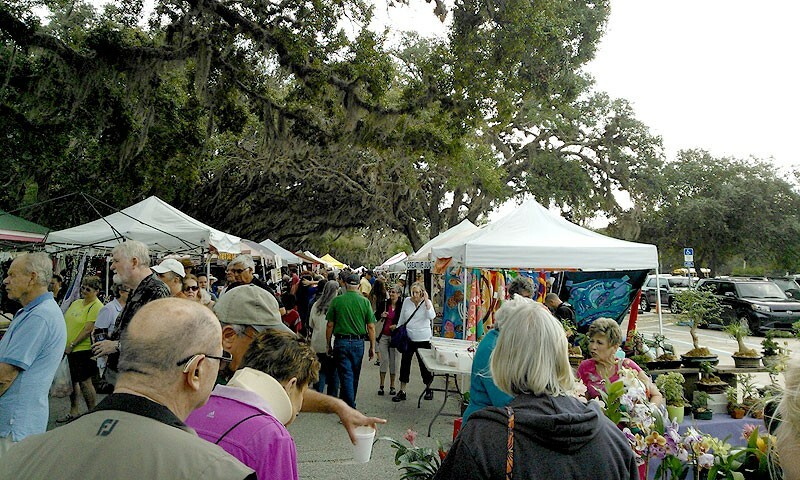 The St. Augustine Amphitheatre Night Market runs every 2nd and 4th Tuesday night between March and October. It’s open to the public and features free admission and free parking. Come experience over 90 vendors selling art, handmade crafts, and other goods. There is also live entertainment, plenty of food, and a full bar. The night market is a great way to unwind after a busy day. If you’re a music lover, come enjoy some of the great bands that play here! Over the years the amphitheatre has showcased acts like Santana, Kane Brown, Kelsea Ballerini, Sublime and so many more! Orchestras, rock bands, R&B singers, and country aritists have all graced the stage. Since the amphitheatre is one of the few open-air theaters left, it’s a big draw for successful artists. It has a casual, fun feel. People bike, walk, or drive to the venue and enjoy food trucks, drinks, and dancing on the front porch before the main event begins! The amphitheatre also hosts entertainment stars from all over the country. 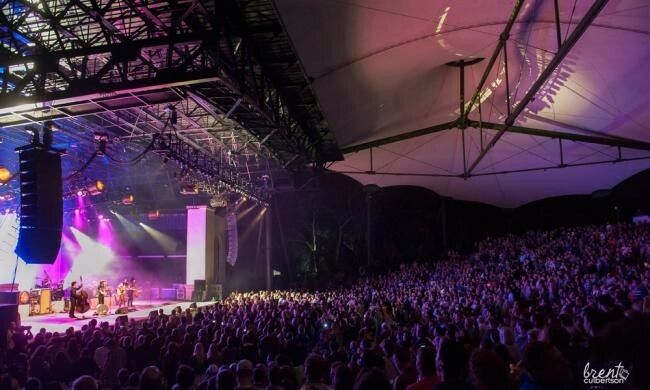 Head over to the official St. Augustine Amphitheatre website for a full, updated list of upcoming concerts and events. You can purchase tickets from the website. The Amphitheatre is located just 15 minutes from Beacher’s Lodge! The Ampthitheatre has so much to offer during your stay in the beautiful, vibrant St. Augustine. There’s something for everyone here and we hope you and your family can experience the rich history and warm community that’s embodied in the St. Augustine Amphitheatre. No matter if you come for the market or to jam out to some great music, the St. Augustine Amphetheatre is the place to be! St. Augustine is rich in history and alive with culture. There is no shortage of things to do in America’s oldest town. And one of the biggest hubs for events, activities, and culture in St. Augustine is Francis Field. We’ve gathered some of the interesting facts and history surrounding the historic baseball field, as well as information about what’s happening today. Francis Field has been a part of the community since the early 1930s. 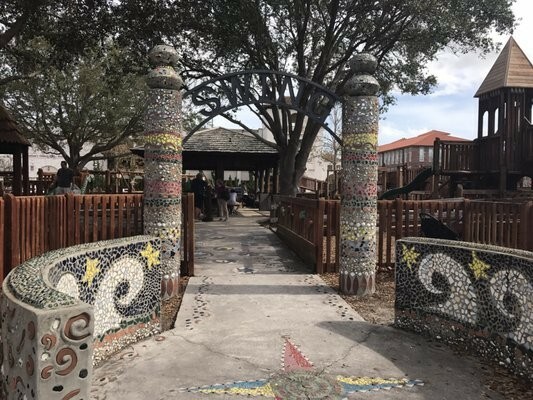 Though it has undergone many changes since then, it remains an important cultural center for the community of St. Augustine. Francis Field gets its name from Frederick Francis, an athlete and co-owner of the amateur baseball team the St. Augustine Saints. The team, led by Frederick Francis, won the Northeast Florida Championship in 1933. The town mayor at the time declared September 11, 1934 as Fred Francis day to celebrate Francis’ numerous achievements in baseball. During World War II, the field was used for military training. In fact, the Saints’ pitcher, Forrest “Lefty” Brewer, was one of five baseball players who were killed on the beaches of Normandy during the D-Day invasion. After the war, the Saints continued to play on the field until their last game in 1952. Though the community referred to the field colloquially as Francis Field for decades, the field officially received the name only recently. Today, the site hosts numerous cultural celebrations and festivals. 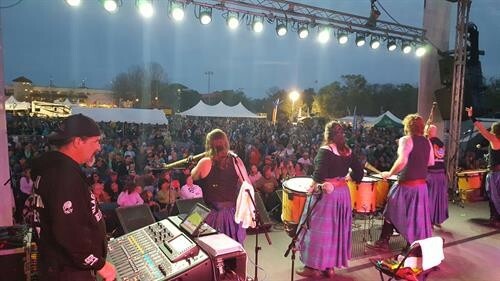 Some of the most well-known festivals include the Celtic Heritage Festival in the spring and the Greek Festival in the fall. Regardless of when you’re visiting, there is always something happening at Francis Field! Throughout the year, there are countless art festivals, fairs, concerts, and cultural events taking place on Francis Field. When not being used for festivals and concerts, Francis Field is a great place to take the family to spend a fun afternoon. Francis Field hosts the Project SWING Park, an interactive playground. The name stands for “St. 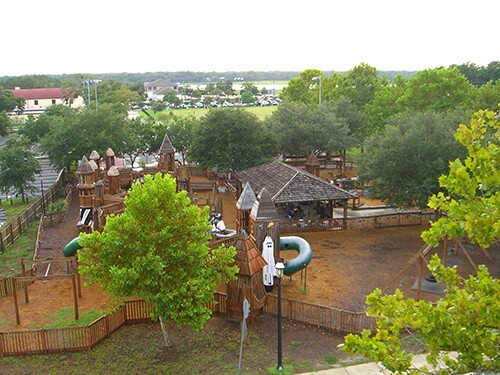 Augustine’s Wish for It’s Next Generation.” The park boasts lovely shaded areas, an interactive playground for older kids, an interactive area for toddlers, a picnic area, and a shady pavilion perfect for hosting parties, get-togethers, and other gatherings. While you’re visiting the lovely city of St. Augustine, be sure to check out the events calendar here and see what kinds of exciting events are taking place at Francis Field. In 2006 the city built a parking garage right next door, which makes access to this location super easy! During the most popular celebrations, like Rhythm and Ribs in April, the city provides shuttles from various locations around St. Augustine. To find shuttle locations for events, look here. Beacher’s Lodge is a quick and scenic 20 minute ride from Francis Field and Downtown St. Augustine. It’s the best of both worlds; stay at the beach and still enjoy being close to the downtown excitement! St. Augustine has lovely beaches and some of the best wildlife you can find in Florida. Because of this, every year for 17 years straight people flock to the area for their internationally acclaimed birding and photography festival. It’s no surprise either. You may only think of dolphins and alligators when you think of Florida. But there is so much more to see. Florida’s ecosystems are filled with wonderful species to identify and learn about. Walking trails and bird watching areas are a few of the many great things to do here in town. There you can find some of St. Augustine’s many eye-catching species. Florida’s Birding and Photo Fest is at the perfect time of year. Florida is already known for being sunny and warm and St. Augustine is no exception. Florida’s great weather makes it the place to be for everyone – young and old. So if you are an adventurer and being outdoors is your thing, this event is for you. Come and experience a day (or the whole week!) of bird watching and photography. This event is full of workshops, outside tours, kayaking and more. There will be over 110 scheduled activities for you to partake in. The famous Alligator Farm is hosting before and after hours photography sessions for those who want to get pictures of the birds without all the foot traffic. With these passes you get the rare chance to be near these birds and have enough space to put your equipment. You can choose to come in one hour before opening at 8am or one hour after closing at 6pm. Are you craving a little competition? There is a Young Birder’s contest for the kids, and a seperate contest for the adults. Every year more and more world renowned photographers show up! That isn’t to say the atmosphere is not friendly and welcome to amateurs – the photo contest is open to all. Speakers will be present every day to give tips, advice, and support to those who need it. The opening reception speaker Joe Brady is a full time photographer, educator, and author who shares his take on how to create the best photograph. There is a plethora of chances to hear from professionals with interesting and educational messages. They can help you learn how to take your photography to the next level. Are you a social media lover? The festival has created it’s own hashtag: #floridasphotofest. Take a peek at the photos from last year. This will give you a great insight into all the wonder visuals that await you. Or take a look at last year’s video gallery and watch the birds come to life! Let St. Augustine’s beautiful scenes teach you and your family to appreciate the beauty of nature. Get your tickets now, prices may vary the closer we get to the festival. Go and visit here to see what is available. You don’t want to miss it! We are scheduled for needed repairs for the beach end of our property board walk. We will have to close the boardwalk for these repairs on Wednesday, 2/13. It is estimated that it will take 1 – 2 days to finish, so it is likely the boardwalk will also be closed on Thursday the 14th. There will still be access to the beach during this time, we will redirect visitors to the the public beach access adjacent to our property and can be accessed by way of the path between the conference room and front office. Click here for a map to reference for Our Beach Boardwalk Closure Info . In preparation for this project, WATER WILL BE SHUT OFF TO THE SOUTH END OF THE PROPERTY ON TUESDAY, 2/12. This interruption in the water supply is ONLY going to effect Condos in the 01-07 stacks. The interruption is estimated at 3 hours and will begin around 10am. The Whetstone’s Chocolate founders are Florida natives and lifelong residents of Northeast Florida. Family run, they enjoy chocolate and ice cream like no one else and they’ve made it their mission to serve the best. They saw the need and a demand for ice cream in the area and were more than happy to become part of the community. Esther opened their small ice cream store on St. George Street in the historic business district of St. Augustine in 1966. Many years later their store has become a local staple for sweet treats. Churchill & Lacroix specializes in works of art, china, and jewelry. Churchill offers the largest inventory of fine estate jewelry in the St. Augustine area. Customers can come and browse through the store and find antiques, porcelain, and paintings. You can also find fine crystal from Baccarat and Steuben, plus fine silver! The assortment of items available includes everything from antique clocks, lithographs, and fine art. This mom and pop shop has been around for 20 plus years. They sell unique handmade stained glass, mosaic pieces, and jewelry. They offer monthly exhibitions which highlights a variety of crafted pieces from different local artist. They also offer lessons for the public on how to make their own mosaic art! If you are looking to gift a unique and artsy item, come check them out. Sunburst Trading Co was founded by Michael and Pam Pounds in 1979. Their mission has been to sell fine accessories and jewelry to the St. Augustine public. They have two local businesses in the area, the Shell Shop and the Around the World Marketplace. You can’t forget the ocean when you’re shopping in St. Augustine! This shop is your complete shell and coral provider! They offer coral, shells (large, small, and every size in-between!) and sea-life. They also have specimen shells and megalodon fossil shark teeth! They carry a complete line of shell and coral jewelry so you can give the gift of the ocean for those not able to come and visit themselves. This great boutique offers found items for the home, including hand-painted furniture, distressed decor, and vintage items. Find dressers, dining room tables and chairs, lamps, mirrors, and so much more! Each piece has an artistic flair, and will make a pretty addition to any household! The Way We Were Vintage Boutique offers a wide collection of vintage items, clothing, accessories, and more. They offer decorative hats for men and women as well as crushed velvet coats, rings, bracelets and more. They specialize in clothing from the 70s and 90s, though some of their non-clothing items are older than that. This boutique offers antiques and other hard-to-find items to visitors. A vintage antique shop with home decor, art, cultural oddities and more. They offer stained glass art, collectibles, and religious icons. There is also an assortment of dishware and custom or vintage signs. Eclectica Vintiques is not your normal vintage shop. It also offers repairs and refurbishments. So even if you are not shopping, trading, or selling interesting finds to them, they’re still available for furniture repairs, neon sign repairs, and stained glass repairs. Vintage candy and soda are available for sale and makes the perfect stocking stuffer! St. Augustine’s largest selection of shipwreck and treasure coins can be found at Spanish Main Antiques. With a wide variety of unique items and friendly knowledgeable staff, it’s almost like shopping at a museum! Around the World Marketplace in St. Augustine is the place be to buy the perfect conversation piece. This shop has amazing works of art, gifts, souvenirs, and house decor items from around the world. Here you can browse their wide variety of products to find that perfect something. They offer artwork, pottery, furniture, and more! No matter if your friends and loved ones are hard to shop for, there’s something for everyone shopping in St. Augustine! These shops are the perfect spot to find that something special for that someone special. Enjoy a shopping experience that will give back to the giver, bring a friend and make the most of your time shopping here in America’s oldest city. December is usually associated with snow – white Christmases, ski trips, and snowball fights. Here in St. Augustine’s Winter, the only white you will see is the millions of tiny lights downtown and our pure, sandy beaches! St. Augustine has lots to offer in the winter and you’ll find that the holiday spirit doesn’t only belong to the snowy North! Starring Smooth jazz guitarist Peter White, trumpet maestro Rick Braun, and saxophone journeyman Euge Groove, check out Peter White’s Christmas! Come to the Ponte Vedra Concert Hall on Tuesday, December 11th to get in on the fun. This annual concert has packed fans into halls and arenas coast-to-coast year after year. Peter White is an extraordinary and fluent acoustic guitarist whose skills are world-renowned. Over the years, he has maintained a reputation as one of the most versatile and prolific acoustic guitarists on the contemporary jazz landscape. Armed with an unparalleled combination of lyricism and energy, White combines elements of jazz, pop and classical guitar to create a sound that is singular and at the same time accessible to a broad audience. Rick Braun is a masterful trumpet/flugelhorn player whose warm tones transform the simplest melody into a work of art. Steven Eugene Grove, better known as Euge Groove, is a smooth jazz saxophonist with a strong Top-40 background. They have each separately sold millions of records and their combined fans will surely appreciate this special performance of Christmas Chestnuts! Visit the Ponte Vedra concert Hall for more information and to purchase or reserve your seating tickets. Tickets can also be purchased at their box office and at the St. Augustine Amphitheatre box office. Prices may vary. Celebrate the holidays with a comedic twist when Apex Theatre Studio presents “A Christmas Story”, a full-length comedy based on the beloved film. The production is under the direction of Ian Mairs, managing director of Apex Theatre Studio and features a combination of faculty, students, and guest artists from the Northeast Florida area. Humorist Jean Sheperd’s memoir of growing up in the midwest of the 1940s follows Ralphie Parker in his quest to get a genuine Red Ryder BB gun under the tree for Christmas. All the elements from the classic motion picture are here: the exploding furnace, the school bully, the boys experiment with a wet tongue on a lamp post and the infamous leg lamp. You don’t have to have grown up with 9-year-old Ralphie Parker and his ache for an air rifle under the tree to think of ‘A Christmas Story’ as a Christmas must. And this version is just as kindly and just as hilarious as ‘A Christmas Story’ is meant to be. The Gamble Rogers Music Festival is sponsoring a Holiday Faire at the Colonial Quarter. Join us at the Colonial Oak Music Park for live holiday music, caroling, crafts, & gifts! The holiday craft & gift market will have handmade gifts for all your last minute shopping needs. Stay warm and cozy by the fire pits while enjoying the Nights of Lights. Food, drinks, baked goods, hot cocoa, and s’mores will be available for purchase. Where: 3500 State Rd. 16 St. Augustine, Florida 32092. Turning Point at Calvary Baptist invites you to come and enjoy their Christmas display of lights. This event allows you to drive in through the light display and be dazzled. The Festival of Light offers you a variety of light displays, from your traditional Christmas lights, to the nativity scene, and more. Come and enjoy music and flashing lights! Where: TPC Sawgrass is located at 110 Championship Way, Ponte Vedra Beach, FL, 32082. The whole family can enjoy a delicious brunch at this special holiday event, and the kids get a chance to visit with Santa and make sure their Christmas wishlist is on record. Villa Zorayda’s 9th Annual Candlelight Tours of the Museum are offered on select evenings during St. Augustine’s “Nights of Lights” celebration. The Zorayda is beautifully decorated for the holidays with a spectacular Christmas tree decorated in the colors of the Zorayda, red and gold, located center stage in the Court of Lions. Over 100 candles are aglow throughout the museum as the docents lead you on your tour of this historic former home. Candlelight Tours typically last about 1.5 hours and include an in depth overview of the history of the Villa Zorayda, its previous owners, and the art and antique collection inside. Come early and enjoy refreshments of homemade Christmas cookies and punch, included with select Candlelight Tour dates. Refreshments include homemade Christmas cookies and punch. When: November 30 to December 23, 2018. Performances are at 7:30 p.m. Thursdays through Saturdays and 2:00 p.m. on Sundays. Where: The Limelight Theater is located at 11 Old Mission Ave. in the Uptown San Marco district. Free parking is available on the street and in the parking lot behind the theater. Foxfire, written by Susan Cooper, with music by Jonathan Brielle, tells the story of a 79-year-old widow Annie Nations, in Southern Appalachia. Annie Nations lives on her mountain farm all alone, but only if you don’t count the ghost of her husband Hector. Their relationship drives the action of the play, as Annie is forced to deal with a ruthless real estate developer who wants to purchase her land and the return of her adult son, a country singer who is now responsible for his two children after his wife ran away. The play pays tribute to the resiliency and spirit of hardworking country folk. This production is directed by Harolyn Sharpe, with Shelli Long as music director. The cast includes Meganne Johnson as Annie, Brian Johnson as Dillard, Rich Nowell as Hector, Carrington Tate as Prince, Elizabeth Gerhardt as Holly, and Ron Price as the doctor. Visit the website to purchase tickets online. The St. Augustine Film Festival will be hosting films from all different countries – shown at all three theaters in the Historic District Area: Lewis Auditorium, the Gamache-Koger Theater at Flagler College, and at all three viewing rooms of the Corazon Cinema and Cafe. *More information will be available as the event day nears. For more information please call: (904) 461-3993. Come and enjoy all the events St. Augustine’s Winter has to offer, from history to holiday fun. Make a new winter tradition by visiting the oldest city in America – you will never want to leave! Ah, the holidays! Whether you are in snowy paradise or on sandy beaches, the spirit of the holidays is still the same. Some people might believe that the snow and cold weather makes it the holiday season. But St. Augustine has proven for many years that the holiday spirit is still the same here, whether there is snow or not! With a wonderful display of light and magic that bring the city to life, there’s plenty of festivities to enjoy! But how did these traditions begin? Let us take a look into the past, to see how tradition has changed or improved throughout the ages. The Minorcan’s came to the new world from the Mediterranean and embarked on a journey to North East Florida. This was one of the largest groups of European immigrants to settle in the New World. More than 25,000 descendants of these Minorcans still live here in the area. They celebrated their holiday by lighting and putting a white candle on the windows of their houses to guide Mary and Joseph to their homes and let them know they are welcomed. As the time and modern technology advanced, the city of St. Augustine continued the traditional white light display. The night of lights festival turns the City of St Augustine into a dazzling holiday display. The 25th Annual Night of Lights, lights up the city with about three million lights, adorned in every corner of the historic district for two months! This award-winning holiday light display runs from November, 2018, to February 3, 2019, in historic St. Augustine. During the seasonal display, businesses downtown stay open later, letting you dine in view of the lights and browse the shops of the decorated buildings. The trains and trolleys offer special seasonal tours that take you through the best areas, and there are also a variety of specialty tours. Everything from walking tours, to horse-and-carriage tours, and even tours to see the lights from the water and the air! Old Town Trolleys Famous Nights of Lights Tour is an excellent way to see St. Augustine’s Nights of Lights. Now the lights are electric and not traditional candles, but they remain white, and they are dazzling to see as they decorate the wonderful old buildings, historic homes and bayfront vistas in the nation’s oldest city. National Geographic magazine included St. Augustine’s Nights of Lights in its recent list of the ten best places in the world to see holiday lighting displays. General admission tickets are $13.99 for adults and $5.99 for children 3 – 12, while kids under 3 are free. No reservations are required or accepted for general admission seating. A separate line with a shorter wait time. Ability to pre-select a reserved check-in time. Priority check-in that is valid up to one hour following your reserved time. The cost is $16.99 for adults and $8.99 for children 3 – 12, with kids under 3 riding free. The Fast Track Pass does require reservations, which may be rescheduled up to 24 hours in advance of tour time by calling (904) 826-3663. To purchase tickets online and to make reservations for the Fast Track Pass, visit here. See St. Augustine’s Night of Lights from horse-drawn carriage or an old fashioned roadster with The Tasting Tour. The Tasting Tours offers three holiday tours during St. Augustine’s Nights of Lights celebration, beginning on Saturday, November 17, 2018, and continuing nightly through February 3, 2019. Their Wine and Carriage Ride Tours are a wonderful way to experience this world-renowned festival of lights in the nation’s oldest city. Guests can experience the festival lights on the horse-drawn carriage and enjoy some excellent wine and great company on these 45-minute tours. There are two versions of the Wine and Carriage Ride Tours available each night: a group tour for up to 12 people and a private tour for 2 – 4 people. Both tours include a bottle of wine (red or white) and souvenir glasses. Additionally, The Tasting Tours offers a nightly Rockin’ Red Roadster Ride. This is a family-friendly 45-minute tour that does not include wine, but features great holiday music and lots of Christmas cheer. Admission: $49 per person (21 years and up) for the Group Wine and Carriage Ride. The Private Wine and Carriage Ride is $159 per couple (can accommodate up to 4 guests for an additional $35 per guest). $25 per adult and $15 per child under 12 for the Rockin’ Red Roadster Ride (with option to book private roadster tour of up to 7 people for $135). Tours depart from 47 Cordova Street. Please call (904) 325-3911 or visit here to check availability and book a tour. The St. Augustine Ballet presents their annual production of the holiday favorite, “The Nutcracker,” with four performances over two days. The St. Augustine Ballet performs The Nutcracker every holiday season at Flagler College Lewis Auditorium. This year, there will be four performances over two days: at 1:30 and 7:00 p.m. on Saturday and Sunday, December 22 and 23, 2018. Tchaikovsky’s Nutcracker is a traditional performance to see during the holidays, and one of the most loved Christmas stories based on E.T. A. Hoffman’s The Nutcracker and the Mouse King. The St. Augustine Ballet production is directed by Artistic Director Luis Abella. The St. Augustine Ballet offers performance opportunities to ballet dancers from the St. Johns area and surrounding locations. The company brings in professional dancers to perform in the two large shows they produce each year, including The Nutcracker. The St. Augustine Ballet is a nonprofit performing arts organization founded in 2010. Call (904) 824-1746 for additional details. Visit the oldest schoolhouse in St Augustine and experience a traditional Menorcan Christmas. The Oldest Wooden SchoolHouse, located in the old Menorcan quarter of historic St. Augustine, presents a traditional Menorcan Christmas display this year. The museum and garden will be lit up with the white lights of the Nights of Lights, a tradition that stems from the white candles used during the holidays in Colonial times. Inside the School House, Menorcan decorations and a fully decked-out Christmas tree will set the stage for visitors to experience what it was like to celebrate Christmas in the late 1700s in St. Augustine. Admission: $5.00 for adults; $4.00 for children ages 6 – 12; kids under 6 are free. No matter where you come from, you will enjoy Florida’s holiday celebrations, without the inconvenience of snow storms but with the same holiday spirit that makes the holidays festive and enjoyable.